Nero d’Avola is one of Italy’s most important indigenous red varieties. Named after its historic birthplace around the town of Avola in southeastern Sicily, it is most widely planted in Sicily and accounts for the largest share of red wines produced on the island and is the primary grape used in the majority of Sicily's best red wines. The thick-skinned, late-ripening Nero d’Avola varietal is ideally suited to Sicily’s hot, dry climate and typically produces full-bodied wines packed with dark fruit flavors. It has often been compared with Syrah in that both varieties thrive in the hot, dry Mediterranean climate and generally share some of same intense aroma and flavor profiles. Historically, Nero d’Avola was used primarily as a blending grape to add color and body to less well-endowed wines from northern Italy and Europe in general. Since it was used primarily as a blending grape, Nero d’Avola’s character was squandered away by overplanting and careless vinification. The variety’s name rarely appeared on wine labels and what Nero d’Avola was bottled was typically sold locally and generally viewed as a rustic, easy-drinking wine of no special interest. However, beginning in the late 1980’s a new generation of winemakers with an interest in indigenous varieties and a seriousness of purpose began looking at new approaches to Nero d’Avola. They explored the differences that soils, microclimates and training methods can make in the development of Nero d’Avola and also experimented with different vinification and ageing protocols. They found that when grown under optimal conditions with low yields and guided by inspired winemaking, Nero d’Avola is capable of producing remarkable wines with good structure and engaging flavors and textures. Market perceptions of the variety started to change dramatically as a new generation of Nero d’Avola wines began to appear on the market and receive high marks from consumers and wine critics alike. This not-especially-well-known Sicilian wine finally began to experience a new-found level of popularity and recognition as a respectable, even praise-worthy wine. Nero d’Avola is a flexible variety that is very adaptable to different soil types and microclimates and vintners have found different expressions of Nero d’Avola depending on where and how it's grown and vinified. 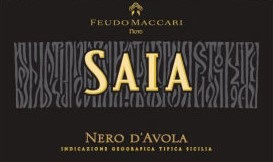 Nero d’Avola from the sandy soils of Sicily’s southeastern coast will produce different wines than those grown further inland which in turn will differ from Nero d’Avola from high-elevation vineyards in Sicily’s mountainous interior. Nero d’Avola can produce wines with a range of style types from those with juicy, fruit-forward flavors and refreshing acidity that are meant to be consumed young to dense, dark, structured wines with long-term ageing potential. Listed below are a dozen engaging, finely-crafted Nero d’Avola wines from around Sicily. All wines reviewed are made entirely of Nero d’Avola – no blended wines are included – and range in price from the high-teens to $40. Regardless of price, they all rank high on a quality-to-price basis. The wines are listed alphabetically by producer. COS is a biodynamic winery located near Vittoria in southeastern Sicily. While it produces a range of wines it tends to focus on wines made with the area’s two most popular indigenous red varieties - Nero d’Avola and Frappato. Consistent with winery’s goal of minimizing human intervention in vineyard and cellaring operations and forsaking use of oak ageing, COS wines generally exhibit good definition and sense of place. The Lupo di Nero (which translates as “black wolf”) is aged for 18 months in cement tanks and bottles. It is full-bodied with velvety tannins and wonderfully robust with juicy black cherry, plum and fig flavors. Alcohol is 12.5 percent. The Cusumano estate consists of 7 different vineyard holdings spread throughout Sicily that total approximately 1,000 acres. Cusumano’s Sàgana is produced with Nero d’Avola grapes from the estate’s Tenuta San Giacomo vineyard located in Butera in south-central Sicily. The 2013 Sàgana was aged in large oak casks for 12 months and spent some additional time in the bottle prior to release. The dark color and dark fruit and spice aromas intimate that the 2013 Sàgana is going to be ripe, rich and delicious - and it doesn’t disappoint. It’s a dense and generous wine and while the tannins make their presence known they are not overbearing and work in tandem with the wine’s fresh acidity to keep everything in balance. It is an engaging, modern expression of Nero d’Avola that can run the course for another 4 to 8 years. Alcohol is 14 percent. Duca di Salaparuta is one of Sicily’s oldest and most prominent wineries. Originally founded in 1824 it has been an influential Sicilian wine producer since its founding. Today the company has extensive vineyard holdings throughout Sicily and markets a variety of premium red and white wines from primarily native varieties. The pride of the estate is its Duca Enrico red wine. First produced in 1984, it was the first single varietal Nero d’Avola wine produced in Sicily. It is a highly regarded, perennial award-winning and expensive wine that typically retails in the $60 to $70 price range. The estate also produces another Nero d’Avola wine called Passo delle Mule that is more approachable and considerably less expensive than its flagship Duca Enrico wine. The Nero d’Avola grapes for this wine are grown in the hills of Duca Di Salaparuta’s Suor Marchese estate in south-central Sicily. The vineyards here are about 1,000 feet above sea level which helps mitigate Sicily’s punishing summer heat. The grapes are hand-harvested in the latter half of September, fermented for about a week and then transferred to oak casks where the wine is aged for about 10 months. The wine is then bottled where it rests for an additional 8 months prior to release for sale. Salaparuta’s 2013 Passo delle Mule has a complex cornucopia of tempting dark-cherry fruit aromas and layered, juicy fruit and spice flavors complemented by a velvety texture saturated with fine tannins. While the wine is full-bodied and structured it carries its weight well and is not excessive or overstated. The wine’s relatively modest 13 percent alcohol level helps keep everything in balance. The Maccari winery operates at the intersection of tradition and innovation. While the primary focus of the vineyards is on native varieties such as Nero d’Avola and Grillo, some “international” varieties like Syrah are also planted. Modern techniques and innovations are on full display in Maccari’s winemaking and cellaring operations. In the spotlessly-clean vinification and ageing rooms row-after-row of stainless steel tanks as well as eggshell-shaped concrete tanks, French oak barriques and large wooden casks are on full display. This 2014 Saia is made entirely of hand-selected Nero d’Avola grapes from 20 to 30-year-old vines in the estate’s best vineyards. The wine is aged in barriques for 12 months and receives another 6 months in the bottle prior to release. Alcohol is 13.5 percent. 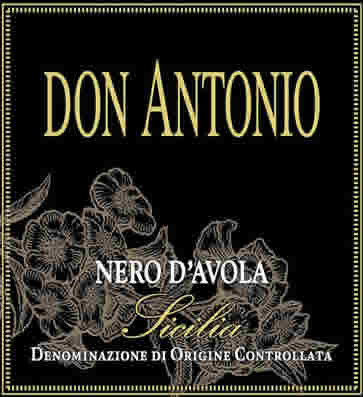 This Nero d’Avola is made in a big, rich style that exemplifies the soft, opulent side of the variety. In the glass it has a dark ruby red color with a magenta edge. It has great depth of flavor with compelling dark fruit flavors and an edge of acidity that keeps it lively. It’s a lot of wine at a very modest price. G. Milazzo’s 185 acres of vineyards are situated on gently-rolling hills northeast of the town of Campobello di Licata in the province of Agrigento in south-central Sicily. Here they produce a wide range of wines based primarily on native varieties like Nero d’Avola, Nero Cappuccio and Perricone for the reds and Inzolia and Catarratto for the whites. They are certified organic and have received numerous awards for their wines, most notably the Maria Costanza Rosso and Duca di Montalbo Red. The Maria Costanza is aged for 3 years in a combination of stainless steel tanks and oak barriques of different woods and spends an additional 6 months in bottle before release. Alcohol is 14 percent. The 2013 Maria Costanza Rosso exhibits the best qualities of Nero d’Avola from the south-central Sicily area with rich, aromatic flavors, firm structure, a rich and earthy - but not heavy - mouthfeel, good tannins and a long, pleasantly acidic finish. It is a compelling wine and one that highlights the Milazzo winery’s emphasis on quality. Azienda Agricola Gulfi is a certified organic wine estate located in the province of Ragusa in southeastern Sicily. The winery specializes in Nero d’Avola and its blends and currently offers a formidable lineup of 6 Nero d’Avola wines. Altho ugh the Nerojbleo is Gulfi’s entry-level Nero d’Avola offering, all of their wines are impressive and this one is no exception. The hand-selected Nero d’Avola grapes undergo a long maceration on the skins at controlled temperatures. This wine is aged for 12 months in a combination of French oak barriques and large casks and then spends approximately 8 months in bottle prior to release. 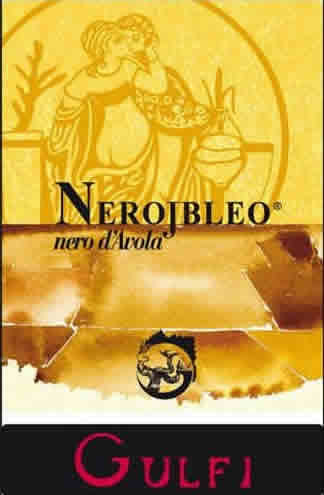 The 2012 Nerojbleo displays all the attractive features and intense personality of a Nero d’Avola wine. It offers up an abundance of tempting dark fruit aromas and layered, juicy plum, black currant and spice flavors complemented by a velvety texture saturated with fine tannins. Alcohol is 13.5 percent. The Nero d’Avola grapes for this wine are harvested from 40-year old vines in the estate’s small 6.2-acre San Lorenzo vineyard in Pachino in southeastern Sicily which is close to the southern-most point in Sicily and, hence, Italy. The grapes undergo a long maceration on the skins at controlled temperatures. Following malolactic fermentation, the wine is aged in 500-liter barrels for 2 years followed by an additional year in the bottle prior to release for sale. The 2012 NeroSanlore is a rich, layered and complex wine with an invigorating 14.5 percent alcohol level. It is full-bodied and offers up intense black-fruit aromas followed by ripe plum and black currant flavors that percolate in thick waves throughout your mouth and taste buds. It is well-balanced with good acidity and distinct tannins with plenty of grip. While full-bodied and flavorful it carries its weight well and is not excessive or overstated. It is a memorable wine and a warm, enveloping drinking experience. This wine is produced by the Mazzei family who also own Tuscany's renowned Fonterutoli estate. The Mazzei family is one of Italy’s most highly regarded winemaking families with a Tuscan winemaking history that goes back to 1435. Their Sicilian winery is not far from the ancient town of Noto in southeastern Sicily and consists of 42 acres of vineyards planted primarily with Nero d’Avola. 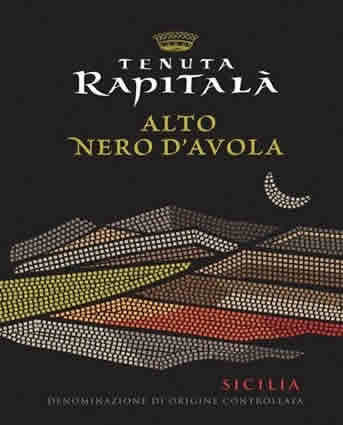 The Nero d’Avola undergoes fermentation in temperature-controlled stainless-steel tanks for 2 weeks and is then aged in a combination of new and once-used French oak barrels for 10 months. The thumbprint that appears on the bottle label is that of Francesco Mazzei who along with his brother Filippo shares managing director responsibilities for the entire Mazzei operation. The 2014 Zisola is a medium to full-bodied, aromatic wine with 13.9 percent alcohol. It is rich and plummy with energetic black berry and dark cherry flavors interlaced with some kitchen spice notes. It is a delicious and unpretentious wine with a pleasant rustic edge evocative of its warm Mediterranean heritage. The Morgante estate’s 190 acres of vineyards are located a short distance from Agrigento with its ancient and monumental Greek ruins in southern Sicily. Although the Morgante estate has been growing grapes for generations it wasn’t until 1994 that Antonio Morgante d ecided to start vinifying his own wines. Aided by consulting winemaker Riccardo Cotarella, Morgante wines have consistently received high marks from international wine cognoscenti for crafting compelling wines from native varieties. The Don Antonio is Morgante’s flagship wine. It spends 12 months ageing in new French oak barriques with an additional 18 months in bottle and clocks in with 14.5 percent alcohol. The 2013 Don Morgante is a big, authoritative wine, rich and intense with dark fruit flavors, velvety tannins and some intriguing balsamic notes on the long finish. It begs to be paired with equally-weighty dishes such as grilled beef, lamb, game or aged cheeses. Although the Planeta family has been landholders and growers in Sicily for generations it was not until the mid-1990’s that they started producing wines under their own label. This was followed by a rapid expansion of vineyard holdings and winemaking operations and the Planeta estate is now one of Sicily’s largest with approximately 1,000 acres spread over five vineyard sites throughout Sicily. The Nero d’Avola for their “Santa Cecilia” comes from their vineyard in Noto in southeast Sicily. After fermentation in stainless steel tanks the wine is aged for 14 months in 2nd and 3rd passage French oak barriques and spends additional time in the bottle prior to release. It has 13.5 percent alcohol. The 2013 Noto Nero d’Avola alights fully evolved from the bottle with a deep, rich color, loads of dark fruit flavors, a smooth velvety mouthfeel with dense tannins and a soft but grippy finish marked with lingering balsamic notes. A great example of Nero d’Avola from one of Sicily’s top producers. Tasca d’Almerita is an aristocratic wine estate with deep roots, so to speak, in Sicily. Founded in the 1830’s, the estate has served as a Sicilian benchmark for enlightened winemaking for well over a century. Even in the 1950’s and 60’s when Sicily was in the nadir of its winemaking doldrums, the wines of the Tasca d’Almerita were celebrated for their high quality. The Sicilian wine scene has evolved considerably in recent decades and Sicily is now the source of some of Italy’s most interesting and compelling wines. While the quality bar has been raised throughout Sicily, Tasca d’Almerita’s quality standards have kept pace and the estate continues to produce award-winning red and white wines. Tasca d’Almerita’s “Lamùri” is a good example of the estate’s high standards. Although it is the estate’s entry-level Nero d’Avola offering, it is a richly textured, expressive wine that delivers considerably more than what one would expect at its price point. After fermentation, the wine is aged for a year in a combination of new and used French oak barriques and spends an additional 3 months in the bottle prior to release. It has 13.5 percent alcohol. It is rich, lush and smooth with ripe cherry, plum and peppery flavors backed up by soft tannins and restrained acidity. It has a long, gratifying finish infused with herbs and some balsamic notes that keep you coming back for more. The Tenuta Rapitalà estate is located in the town of Camporeale which lies about 24 miles southwest of Palermo in northwest Sicily. While the estate has been producing wines for generations, the winery’s current evolution dates back to the late 1960’s when it was rebuilt following a severe earthquake that destroyed most of the original family estate. It was a long and difficult process since the vineyards also had to be re-trellised, replanted and repurposed but in short order Rapitalà was producing a number of wines from Nero d’Avola and other traditional varietals as well as some French varieties. Tenuta Rapitalà has approximately 550 contiguous acres of vineyards that are apportioned into dozens of individual vineyard plots. Each parcel is treated as an independent unit and each is cultivated, harvested and vinified separately. The “Alto” is comprised of Nero d’Avola from a single, small, high elevation (1,600 to 1,800 feet) parcel, which I assume is the source of the wine’s name (alto translates as “high” in Italian). The cooler growing environment and considerable day-night temperature variation due to the high elevation helps moderate some of the variety’s natural robustness and assertive flavors while promoting acidity. After fermentation in stainless steel tanks the wine is aged for 7 months in used French oak barriques and then transferred to large oak vats where it is aged for an additional 5 months. This deliberative ageing regimen is designed to promote balance of both structure and elegance. It has 13 percent alcohol. This high-elevation, single-vineyard cru wine exhibits a strong sense of place. It is a medium to full-bodied Nero d’Avola with generous aromas and full, round and delicious red fruit flavors supported by good acidity and tannins. While structured it doesn’t have the density or assertiveness that exemplifies other Nero d’Avola wines and presents a more elegant version of the variety. It is a great expression of Nero d’Avola at a very modest price.